Hair loss can be demoralizing for many us; although it is a natural process of aging, genetics, medical conditions, medications, poor nutrition and stress. Both men and women are commonly affected by hair loss and they seek out a wide range of treatments to prevent hair loss, or ways to hide it. Many treatments are expensive, ineffective and uncomfortable. Here at ElleHomme Holistic Med Spa in Chicago, we have found a natural and nonsurgical procedure to help our clients with their hair loss. Scientist approved, Platelet Rich Plasma (PRP) Therapy can organically help hair restoration. Say goodbye to wigs, hats, surgical hair transplants, and ineffective hair growing serums! PRP Therapy is here to help you naturally regain your confidence and your beautiful hair. Hair Loss can be very traumatizing for both women and men and it’s inevitable for most of us. 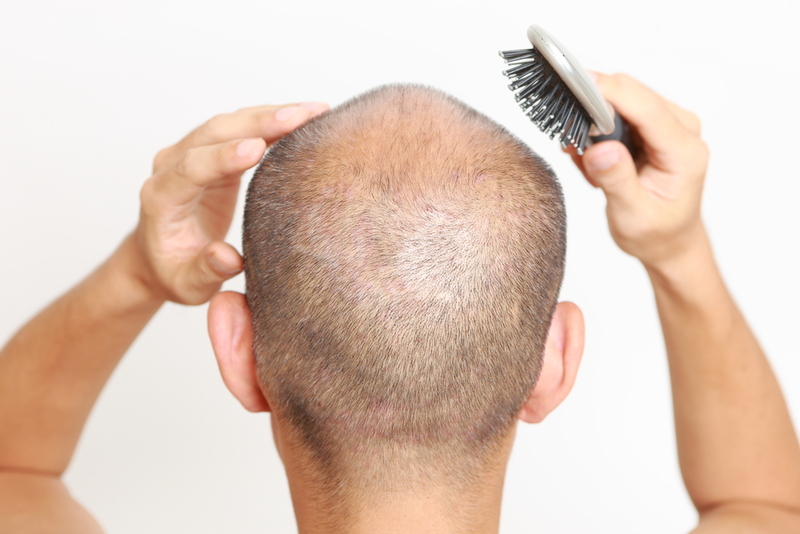 As we get older, our hair begins to thin and our hair follicles become inactive. 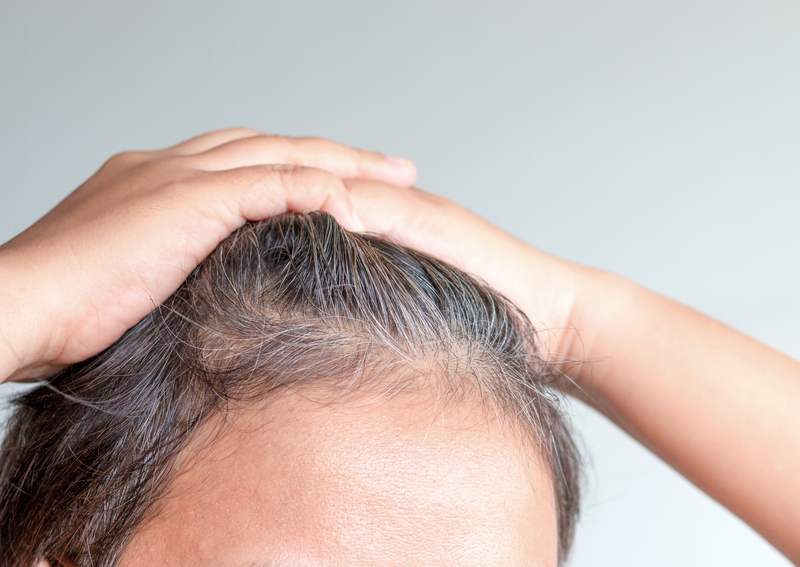 This can be due to genetics, hormonal changes, skin disorders, stress, patchy hair loss, and medications used for cancer, arthritis, depression, heart problems, and high blood pressure. With all those factors affecting hair loss, we also lose our confidence and hide behind wigs and treatments that are ineffective and expensive. PRP Therapy is the natural solution that helps with hair restoration. Platelet Rich Plasma Therapy is a treatment derived from your own blood commonly used for hair restoration, collagen loss, joint injuries, muscle injuries, bone fractures and knee arthritis. The blood derived is called plasma which contains red cells, white cells and platelets. Platelets in the blood are known as the component that causes blood clotting properties. Platelets also contain proteins that stimulate growth factors that help the healing process in injuries. The concentration in PRP causes the stimulation of growth factors to be five to ten times richer when used as a treatment. To develop a PRP treatment, the small amount of blood is first extracted from the patient. Next the cells and platelets are separated and the concentration in the platelets is increased through a process called centrifugation. Centrifugation is the process where the blood is spun to the point where all the cells in the blood separate. Once the platelet concentration is ready, it is combined with the remaining blood. This regenerative process is safe from any transmittable disease since the blood utilized is patient’s own blood to naturally restore inactive cells or injuries. Results are noticeable after three to six months. Results vary in each patient. To see the best results, it is advised to receive PRP therapy every three to four months. Here at ElleHomme Holistic Med Spa in Chicago, we like to help our clients feel through holistic approaches. Let us help you regain your confidence through our natural and holistic approaches for your hair growth. Contact us today or schedule a consultation, our friendly and licensed staff is ready to answer all your questions and concerns to determine if PRP Therapy, or any of our other treatments, is right for your hair loss.